Yesterday I received a comment on my hidden gems post about editing multiple work items (Hidden Gems in TFS – Part 3 Editing multiple work items at the same time (Bulk Edit)). I wrote this post a long time ago and it became old. Hereby a short update for this hidden gem, because in TFS 2012 Microsoft Managed to make it still a bit hidden. 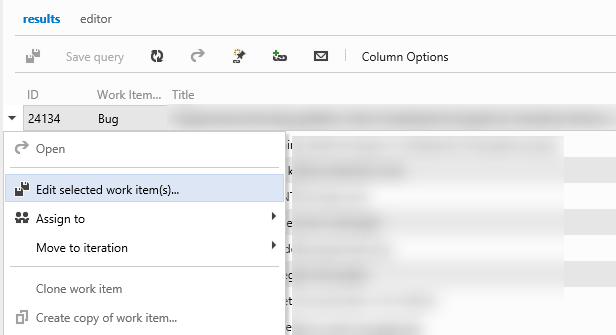 With Visual Studio it is not possible to bulk edit multiple items. 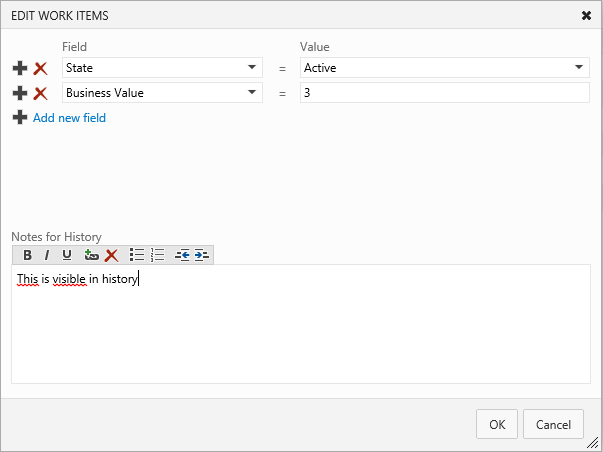 However, you can select the items you like and export those items to excel to do the bulk edit. The Web Access client still contains the bulk edit, only it is even more hidden than it was before. Open a Query in Web Access (from the Work Tab), Choose the work item you would like to edit (holding Shift and CTRL for multiselection just works !) and click with your right mouse button. Hidden gem, or hidden danger? Is there concern about ability to bulk update work items so easily? How easily, or accidentally could this be misused? agreed. With great power, comes great responsibility.. You can screw up pretty bad.. But three is always history that you can use to trace back the changes..